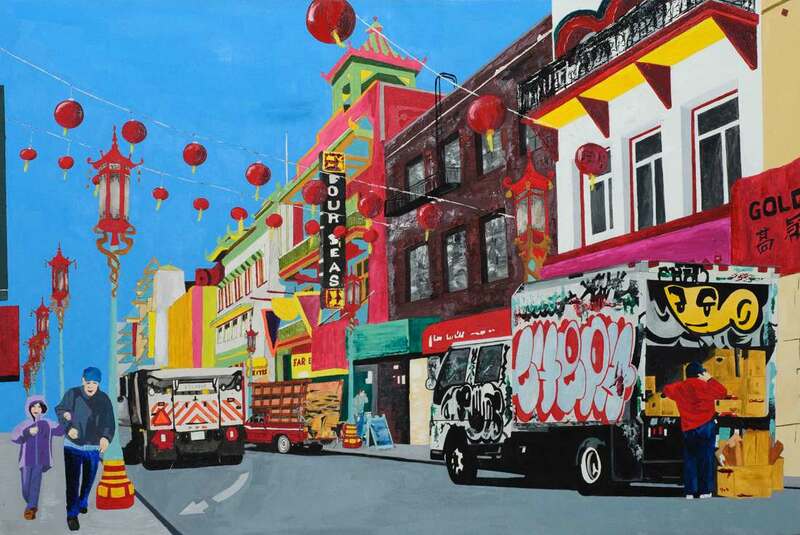 Grant Street, the main corridor of San Francisco's Chinatown, is full of bustling activities, sounds, and smells. Goods are delivered to different produce, flower, and souvenir stores. Boxes, piled high on sidewalks, await unloading. Cardboard is folded onto pick-up trucks or carts for recycling. Garbage trucks roam down the street, and pigeons happily pick up any leftovers.